É raro eu encontrar cursos ou workshops que me pareçam verdadeiramente interessantes e com professores que tenham um conhecimento profundo sobre o que estão a ensinar. Mas desta vez acertei no jackpot! 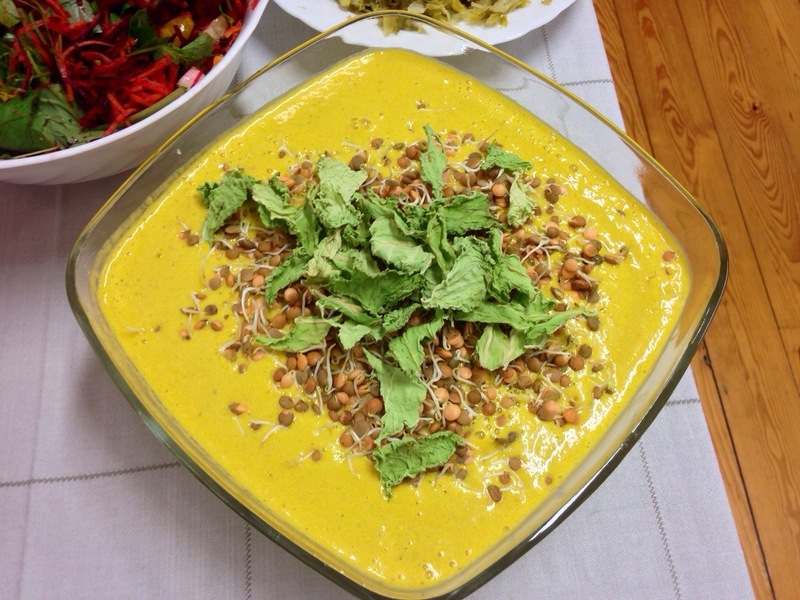 O chef Duarte Gonçalves faz comida mesmo como eu gosto- vegana, crua, simples e com baixo teor de gorduras! Para além disso, é muito simpático, descontraído e terra-a-terra. É uma pessoa que pratica diariamente aquilo que ensina e é um testemunho de como podemos ser saudáveis e felizes levando um estilo de vida assim. Gostei muito de tudo o que ele nos ensinou a preparar – sopa, pizzas, chucrute, leite, saladas e uma tarte. Recebi bastante informação prática e interessante sobre fermentação, desidratação e dicas para o Inverno que certamente me ajudará a optar cada vez mais por comida crua no meu dia-a-dia, que é mesmo o meu objectivo. E ainda trouxe para casa várias folhas recheadas de dicas muito úteis e receitas que estou desejosa de experimentar! Aconselho vivamente a experimentarem um destes workshops, se tiverem possibilidade. Podem seguir o trabalho do Duarte no blog do Projeto Alimento Desperto que faz parte do Projeto Vida Desperta, a comunidade onde ele vive. Today I want to tell you about a workshop I attended last weekend. 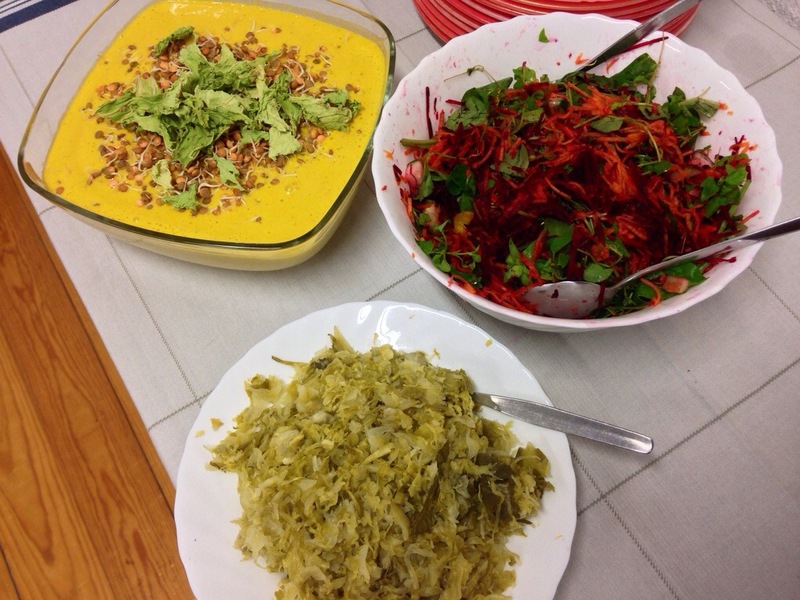 It was the “level 2 workshop – raw vegan party”. It’s not often that I find classes or workshops that seem really interesting to me and it’s hard to find people that actually have a deep knowkedge about what they are teaching. But this time I hit the jackpot! 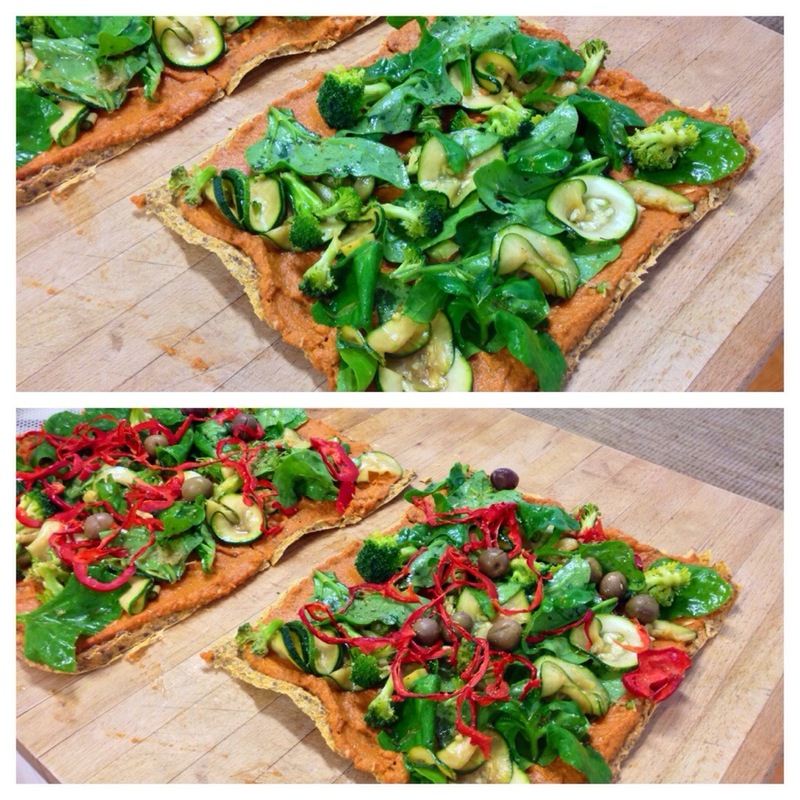 Chef Duarte Gonçalves makes food just as I like it – vegan, raw, simple and low in fat! In addition, he’s a really nice guy, easy going and down to earth. Here is a person that really walks the talk, teaching what he does in his everyday life and proving that you can be happy and healthy living this kind of lifestyle. 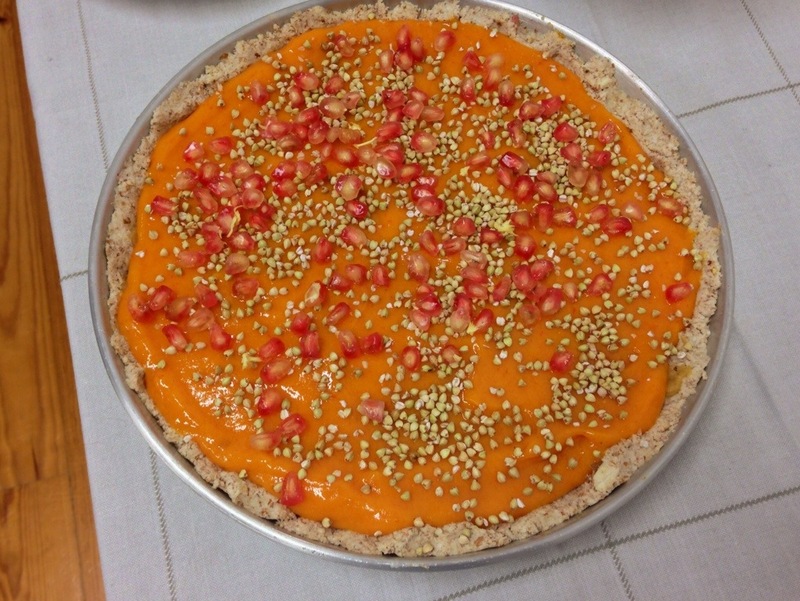 I really liked everything he taught us how to prepare – soups, pizzas, sauerkraut, milk, salads and cakes. The information passed along was very practical and useful and I’m confident it will help me choose raw foods more and more everyday, which is my goal. I brought home lots of printed info like tips on how to cope during winter, about fermentation and more, including some recipes I can’t wait to try. This project is part of a bigger project, the community he lives in – the Awakened life project (in english). Check it out and be inspired! 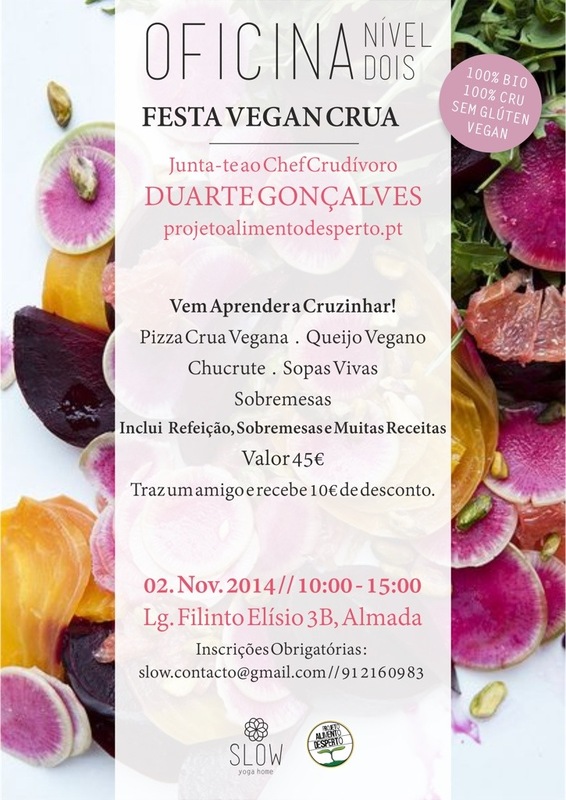 Categories: Food ~ Alimentação | Tags: comida crua, eventos, events, raw | Permalink. Olá Laurinha! Eu também sinto isso – descarrilei no ano passado perto do natal e depois nunca mais voltei a 100%. Mas a pouco e pouco a coisa acontece ;) Muitos beijinhos! Reiki for acceptance and inner peace... 🕊 Accepting that the relationship is over. Accepting that you can’t control others or how they feel about you. Accepting that you’re already in menopause. Accepting that you’ll never have children. Accepting that you lost your job. Accepting the death of someone you love. Accepting change, specially unwanted and unexpected change - there are plenty of challenges when it comes to acceptance and inner peace. These are some of the many reasons that bring people to my sessions. The struggle to accept and find peace in a body, a life and a world that are continuously changing and surprising us. Reiki helps releasing what no longer is useful, what has ended, what no longer is. Reiki helps to live in the moment, mindfully in the present, letting go of the past and releasing the need to control the future. Reiki helps to let go of your plan and open up for something even better. Reiki helps to release inner conflict and simply trust, flowing in harmony with life’s cycles and phases, feeling connected with the universe. Reiki helps to create inner peace and a strong personal center that survives the biggest and wildest storms. Reiki helps to befriend your fears and learn all about your shadow side - stripping its power and grip. Reiki helps to rescue the faith and inner wisdom that remind us that we can deal with it- all of it, without resistance and suffering. One moment at a time, one breath at a time. It helps. And if you’re willing to embrace your evolution with guts and love - you’ll feel it the most! 🌹This Saturday in Lisbon at @littleyogaspacelisboa we’re having a special meditation for women, for all the English speaking goddesses out there! 🌹 This practice is all about connecting to your beautiful body and your feminine energy. 🌹It will help you gain awareness about the state of energy of the pelvic floor area. 🌹 It is very useful for releasing and clearing tension, pain, blocks, discomfort or even cold and numbness in this part of the body. This area sometimes holds a lot of fear, old negative feelings and memories that end up blocking the connection with the body. And in turn, that blocks creativity and the ability to fully embrace life’s pleasures. This practice helps one live in a more mindful and present way, more connected to the body, free and open to enjoy life to the fullest, loving oneself. 🌹 It’s a simple guided meditation with some internal movement - very soft, relaxed and harmonious. You can do this regardless of the day of your cycle. You’ll be able to do it all by yourself at home, after this session. It’s a positive and healing meditation for all women, even if you no longer have some reproductive organs. 🌹 Space is limited, so you need to save your spot- simply send me a message.